When properly and safely administered regional anesthesia can augment your limited supply of narcotics and ketamine. It can also preserve your patient's mental status while providing targeted pain relief. This can be accomplished using a nerve stimulator and the techniques found in the Military Advanced Regional Anesthesia and Analgesia Handbook. If you have a portable ultrasound machine and a little practice you can also use the techniques found in the videos made available in by the New York School of Regional Anesthesia. Doug and Dennis talk about the application and limitations of monitoring ETCO2 in prolonged field care situations. 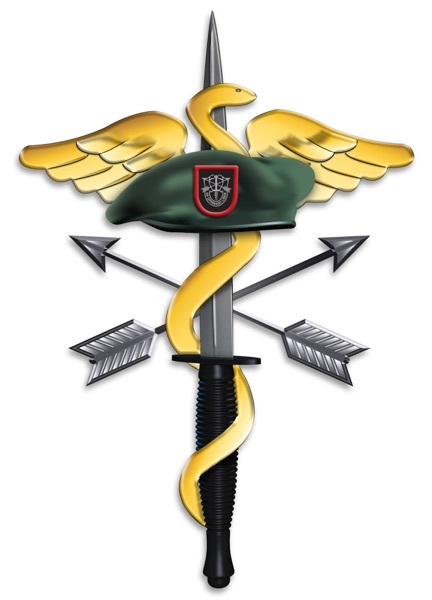 The Tactical Hemostasis, Oxygenation and Resuscitation(THOR) Group including the 75th Ranger Regiment, NORNAVSOF and others have led the way in re-implementing type-O, low titer fresh whole blood far forward with the Ranger type-O Low titer(ROLO) program. In 2015 the Ranger Medical Leadership along with founders of the ROLO program published the paper, "Tactical Damage Control Resuscitation" outlining in detail why they chose to bring back fresh whole blood at the point of injury. Since that time further studies have strongly suggested that the earlier fresh whole blood was transfused, the greater the benefit to the patient. Shackleford et al demonstrated that the greatest benefit to a patient receiving fresh whole blood occurred within 36 minutes of injury. After 36 minutes no decrease in 24-hour mortality was found. Blood must be replaced as soon as possible. The Committee on Tactical Combat Casualty Care also recommends FWB as the first line intervention for patients in hemorrhagic shock with blood products in both second and third place. We cannot ignore whole blood any longer if we wish to deliver the best possible battlefield care possible. Excuses citing logistical difficulty, concerns of safety or lack of information are unfounded. There are multiple ways to ensure our casualties are receiving fresh whole blood. The first is through the Armed Forces Blood program delivering cold stored O-Low titer blood to a Role 2 facility where it is picked up and pushed forward from there. Refrigeration is necessary in order to keep it below 4°C. If going out on mission insulated containers such as the Golden Hour or Golden Minute containers can be used to keep the blood within temperature specs for 24, 72 hours or longer. If dismounted, a transfusion can occur at or near the point of injury with pre-typed, screened and titered ROLO/SOLO donors. Other non-Ranger Special Operations units have since followed suit and have tweaked the name to suit them, hence the new SOLO(Special Operations Low-O) acronym. the depth and experience of specialists available to consult. This depth of knowledge is almost universally available when making a simple telephone call to any number of docs willing to take a call at all times of the day and night. Don't let pride or hubris prevent you from seeking advice from someone more experienced than you in taking care of critically injured, complex patients. Telemedical consult is one of the most important core capabilities in a prolonged field care situation. Trust must be built prior to an actual call being made under stressful conditions; trust in the receiving physician and, more importantly, trust in the process. Medics may be apprehensive in calling a complete stranger if they haven't made a test call or even better, a face to face meeting. If you build the rapport before the crisis, this won't be an issue. You may even have the time to prep a draft email who you are and your equipment, training level and usually a region where you will be if you think it will be pertinent. Rick Hines has spent the last 20+ years in service to his country much of it deployed to combat zones and other unstable, austere environments and is dedicated to improving SOF Medicine. He made it a point to spend a fair amount of time with surgical teams when possible and has gained quite a bit of real world knowledge that we hope to pass on to a wider audience here. We recorded this live from the Joint Special Operations Medical Training Center where Guest Lecturer COL Givens, shares the CBRNe knowledge she has learned working (among many other positions) as a Clinical Toxicologist around the world including as the SOCAFRICA Command Surgeon where she personally helped prepare members of 10th SFG(A) to deal with some of the most venomous snakes in the world. COL Melissa (Missy) Givens MD, MPH is a graduate of the United States Military Academy and USUHS alumni. She is board certified in Emergency Medicine with subspecialty training in Clinical Toxicology and Sports Medicine and certification as a Strength and Conditioning Specialist. She is the former program director for the Carl R. Darnall Emergency Medicine Residency and EM-PA Fellowship. She has held various academic and operational assignments and completed several combat tours and deployments with both conventional and Special Operations Forces. COL Givens is currently faculty in the Department of Military and Emergency Medicine at USUHS. This Clinical Practice Guideline was written by a fellow 18D with input from around the surgical community. Â It reconciles the differences between wound care done in a role 2 or 3 facility, such as serial debridements, with what is taught in the 18D Special Forces Medical Sergeant Course with regards to delayed primary closure. Â One way is not â€œrightâ€ while the other wrong, it has more to do with the amount of time and resources available to the medic or other provider. Â The remainder of the blog post and podcast is meant to be a refresher for those who have already been taught these procedures. Â It is also meant to be informational for those medical directors who may not be exactly certain of what has been taught as far as wound care and surgery.Â Â If you havenâ€™t been trained to do these procedures before going ahead with them, it is very likely that you may do more harm to the patient than good. In this episode Dennis moderates a discussion on recognition and management of sepsis in Prolonged Field Care. We have Doug and Jaybon from the ICU, Jay from the ER perspective along with Paul providing some questions and insight on prehospital and evacuation considerations. This talk was recorded live during the Prolonged Field Care Pre-Conference Lab during the Special Operations Medicine and Scientific Assembly(SOMSA). Dr. Geir Strandenes is a founding member of the THOR(tactical Hemostasis, Oxygenation and Resuscitation) Group, the Senior Medical Officer of the Norwegian Naval Special Operations and a Researcher in the Department of Immunology and Transfusion Medicine at Haukeland University Hospital in Bergen, Norway. He has worked hand in hand wit the US Army Institute of Surgical Research and the US Armed Forces Blood Program. Dennis was finally able to corner an anesthesiologist who was actually more than happy to sit down and talk about his years if experience working from the head of thousands of patients. While we are working on an Airway Clinical Practice Guideline with the Army Institute of Surgical Research, this will go along with our earlier posted airway recommendations until we can get a consensus and get it published. What are your priorities? How do you assess in the field without labs and imagery? Do you include severe TBI injuries in your trauma training? What if he also has a pelvis injury or internal bleeding? When do you take the airway, if at all? When do you provide positive pressure ventilation in these patients? When is that dangerous? If you sit on a patient long enough, infection has a greater chance of taking hold and progressing to sepsis, or may receive a patient who has already been sick for days. Doc Jaybon walks us through the full spectrum from infection and SIRS to sepsis, shock and death. Despite firm CoTCCC recommendations for early antibiotics, in the past we may have foregone that luxury because of lighting fast evacuation times, maybe even thinking, 'they'll take care of it at the next echelon.' A great medic should not only treat their patient but set them up for success at the next echelon, as Sepsis is a testament to how poor care during the TCCC phases of care can cost our patients days and weeks in a hospital later. Be sure to visit www.prolongedfieldcare.org for the associated quiz and show notes! Dr. David Van Wyck an Intensivist and Neurointensivist Fellow at Duke Medical Center in North Carolina explains the evolving management of TBI in the field for medics in austere environments. Go to www.prolongedfieldcare.org for the accompanying blog post, shownotes and quiz. Despite our best efforts, endless training, and reading, some of our patients will die. This has been a taboo subject that is difficult to broach in the best of times. We aim to start a conversation here with the hope that it continues with your Medical Director, PA, Surgeon and fellow Medics before you are ever faced with this difficult situation out on your own. Often prolonged field care involves treating the most critically sick or injured patients longer than you expect to. Inevitably some of these "sickest-of-the-sick" will not make it in time to see definitive care and you will be left to ease the suffering during end of life care alone. While you may have to deliver end of life care by yourself, you may not have to make all the decisions alone. In this episode Dennis and Doc Powell discuss how to treat expectant patients. This could be as part of a multi-patient MASCAL or a happen to a single patient who is critically ill or injured. If it happens during a MASCAL, once you are done treating your urgent patients, what do you do when you go back to your expectant patients? It's common to skip over discussing and training on losing patients... Taboo even. The fact is that it will eventually happen; No matter how good of medics we are, patients may die. Doc Powell has spent innumerable hours in Intensive Care Units with the best and brightest medical teams a patient could hope for. Often in this setting the top notch care, medicines and interventions are not enough and patients code and die. This is part of medicine whether we talk about it openly or not. A follow up to our last analgesia podcast, Dennis hosts Doug and Paul to talk about pearls when dealing with sedation in the ICU and how they translate to care in the field by medics. In this episode we gathered around a microphone to discuss the management of crush injury in austere environments including a scenario and the answers to our poll. Go to www.prolongedfieldcare.org to take the follow-up, 3-question quiz to make sure you understand the principles of the latest evidence based recommendations. Crush injuries are difficult to manage in the best of circumstances. In an austere environment by a practitioner with little to no experience they can be overwhelming. In deciding which problem to address in depth first crush syndrome seemed to be a great choice. The Clinical Practice Guideline is well on it's way to being released very soon. As discussed in the podcast, our recommendations are an amalgamation of best practices adapted for our difficult environment. It is an injury that can happen anywhere to anyone and the correct initial management can make all the difference in patient outcome. Enough out of me, I'll let Doc Riesberg explain it via his talk he gave earlier this year to the Joint Trauma System Teleconference. Justin and Sean review the basic concepts with telemedicine. Often confused with the technology used, telemedicine, at its most basic form, is calling for remote consultation to help manage a patient. It's a basic concept in civilian medicine, but will require a cultural shift and training to incorporate into SOF and austere medicine. Luckily, the PFC WG, in conjunction with partners at SOCOM and the medical facilities, are jumping into the problem set to bring you the concepts and solutions to some of your operational challenges.